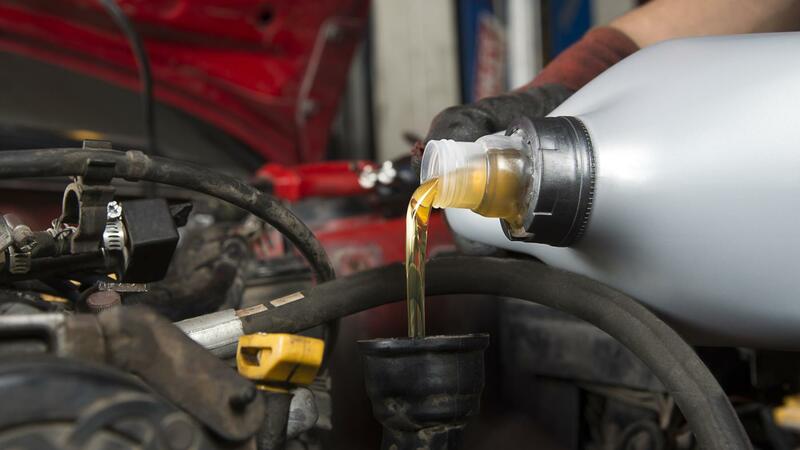 Synthetic motor oil offers a far superior level of efficiency and durability for an automobile's engine in comparison to conventional motor oil. Where conventional motor oil is a derivative of petroleum, synthetic oil is composed of chemicals, and hence it can last up to three times longer than conventional motor oil and causes less damage to the engine. Synthetic motor oils are purposefully manufactured to last longer in a car's engine. As opposed to the regular 5,000 mile limit of a conventional motor oil, a synthetic oil can last for around 12,000 to 15,000 miles. Since the composition of the oil is engine-friendly, synthetic oil has been noted to produce less resistance and residue inside the engine, withstanding a much higher degree of temperature in comparison to regular oil. This allows the car to achieve additional levels of horsepower with the same consumption of fuel. Even though their composition is purely artificial, synthetic oils are no different to regular oils in terms of the damage that they cause the environment. It is because a synthetic motor oil lasts longer inside an engine than regular motor oil that the former is considered more environment friendly, simply meaning it isn't used and dumped as frequently.